Do you want to learn about mental health issues that may affect your congregation? 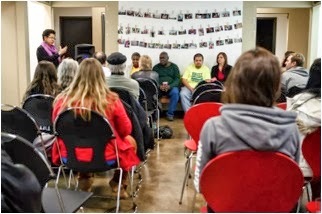 Do you want to learn more about mental health resources in Chicago? Do you want to network with other faith leaders to help plan to Heal Chicago? We will meet one Saturday a month from February to December for two hours and have mental health professionals as well as survivors present information on common mental health issues and approaches and resources for treatment. Anger, a common emotion, is characterized by irritation, annoyance, and sometimes, rage. Bodily changes may occur when you are feeling angry including increased heart rate, increased blood pressure etc. Dr. Payne is an ordained Evangelist minister who will teach relaxation and coping skills to clergy who provide counseling to their congregants. Many in your congregations are living with different levels of depression, schizophrenia, Post traumatic Stress Disorder and their behavior may be erratic at times or their loved one may have this challenge. If they come to you do you know the signs? Grandmothers are now care takers for very young children – but they need care too – what is available to those grandmothers health care and mental state? Southside Together Organizing for Power (S.T.O.P.) wants to help you understand and recognize common health challenges that many people are living with. We are offering free educational workshops and lunch for the faith leader of a church or a trusted member of the congregation on the third Saturday of each month for 2 ½ hours. The workshop have been designed to help you better understand the mental health challenges that many in your houses are struggling and living with. S.T.O.P. has brought together an exceptional and talented group of faith, medical, mental health and sociological professionals to conduct this important and desperately needed series of workshops. Today there are only six public mental health clinics to serve more than two million people living in Chicago. Your burden is heavy but your commitment is great. Let us help lighten your load – education is power.